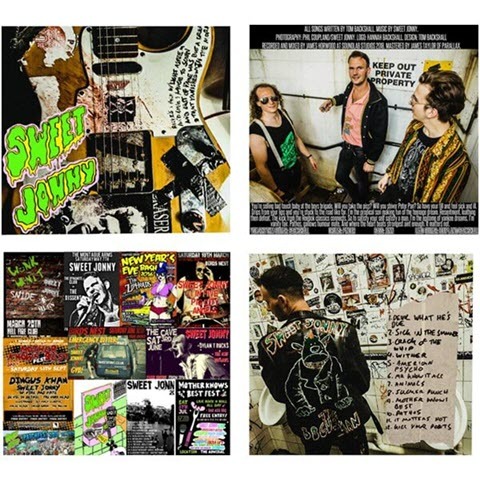 Sweet Jonny have released three EPs plus one live LP to date. 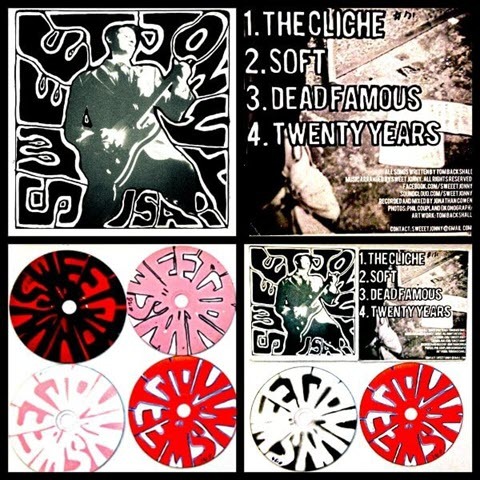 Their debut full album is now available. 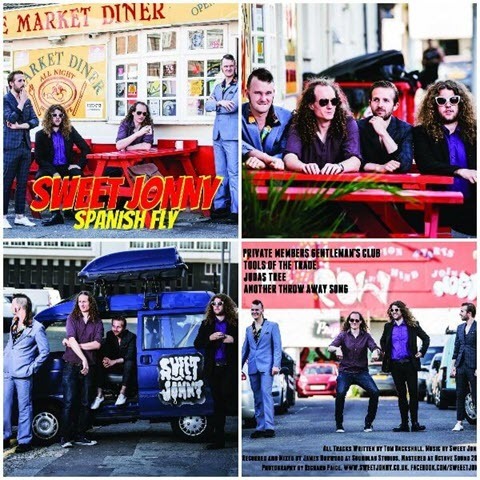 £8.00 + p&p | 12 studio tracks professionally pressed, mixed and mastered with lyric sheet. 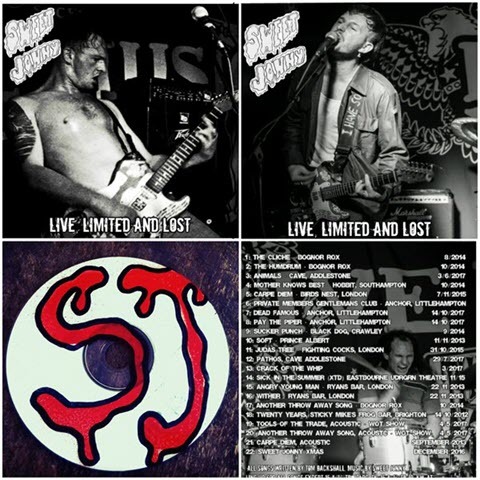 £5.00 + p&p | 22 live tracks, plus rarities. Please specify design 1 (top left) or 2 (top right). Please state colour and size (S, M, L, XL) when ordering. Upcoming gigs, that's where the band is at!